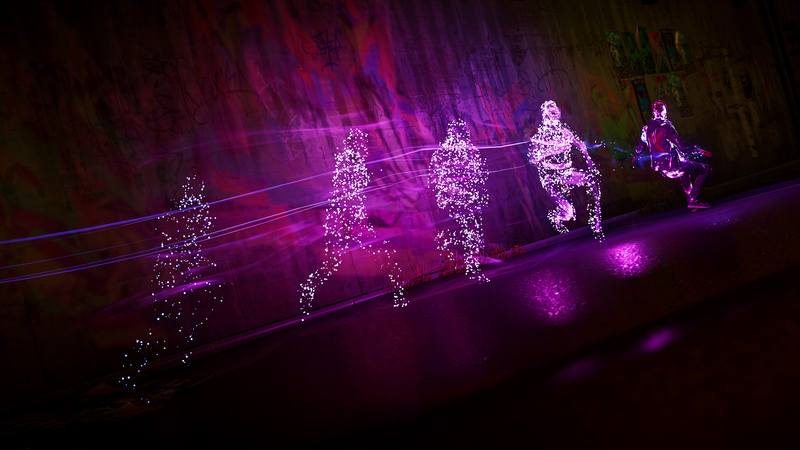 Developed by Sucker Punch Productions. Published by Sony. Released March 21, 2014. Available on PS4. 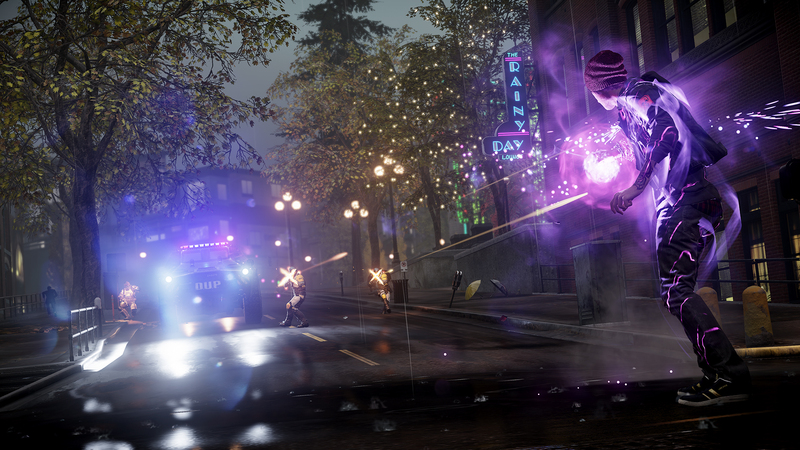 Of all the "superhero" open world games on the market, inFAMOUS never quite grabbed me like the others. Prototype had interesting super powers and superior variety, Saints Row IV was hilarious and surprising, Arkham City had Batman, and none of the aforementioned titles dealt with the comically snarling, uncharismatic Cole MacGrath. The inFAMOUS games were alright, that much is true - they were just far more boring than anything featuring electrified supermen ought to be. 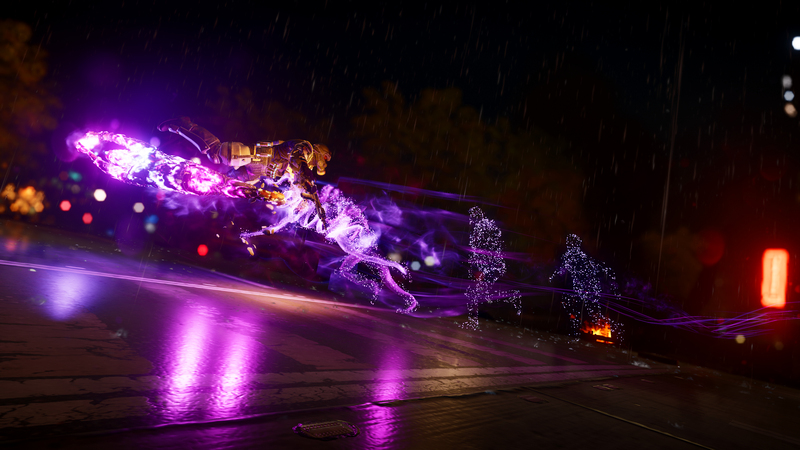 inFAMOUS: Second Son, however, changes everything for the better, and sees Sucker Punch creating pretty much what I'd have expected out of this series from the start. Inventive super powers, an intensely likable protagonist, plenty of "stuff" to do, and one of the most delightfully despicable villains a videogame has ever produced. 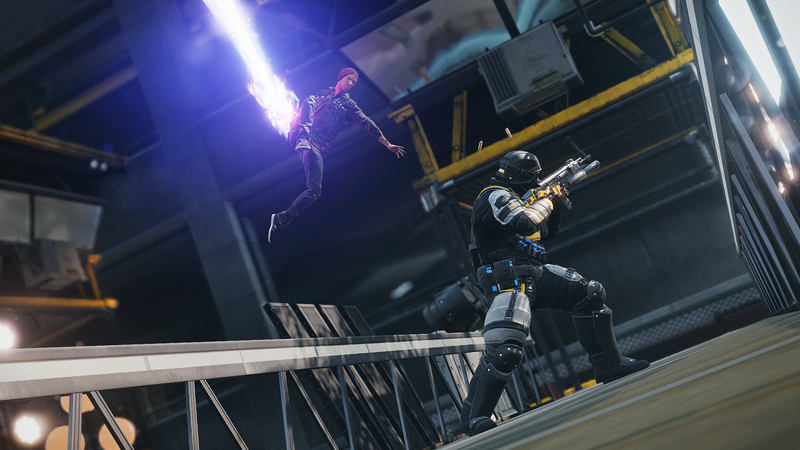 Second Son comes close to fully delivering, let down only by the series' long-standing over reliance on reusing the same few tricks. To cut a long story short - this is more like it! 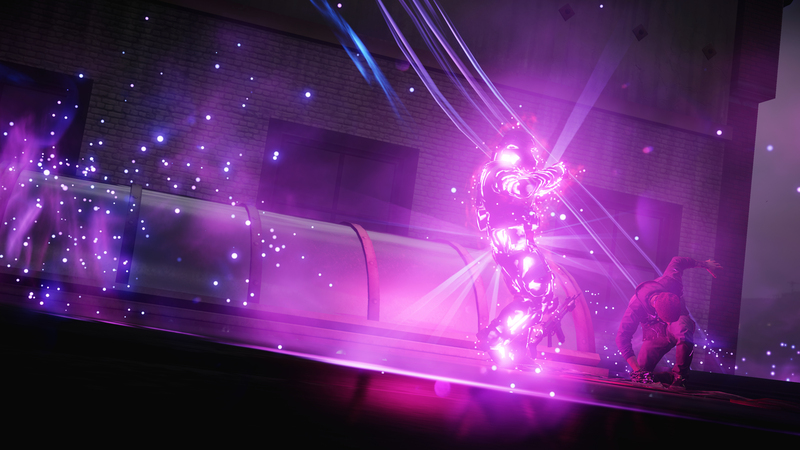 Set seven years after the events of inFAMOUS 2, super powered "Conduits" are thought to be almost entirely out of commission. Those few remaining are labeled bio-terrorists and held in captivity by the Department of Unified Protection, headed up by the vile Brooke Augustine. 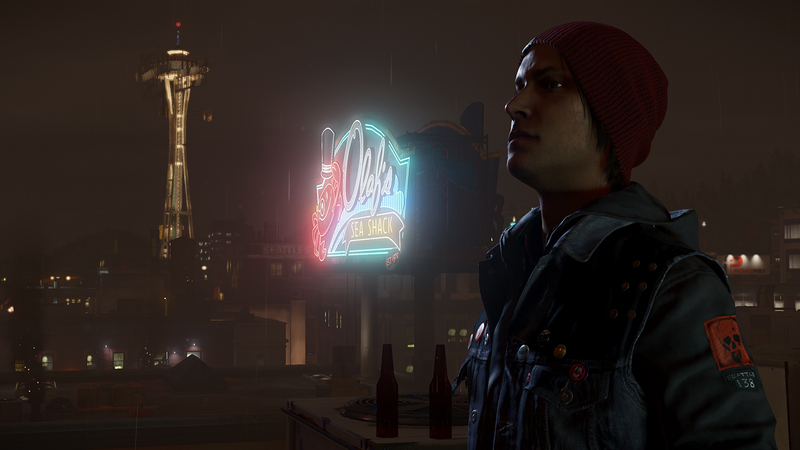 Players guide Delsin Rowe, graffiti artist and professional layabout, as he unwittingly becomes a new conduit and travels to Seattle in order to settle scores against the government. Whether he'll do that heroically or not is, of course, up to the player. 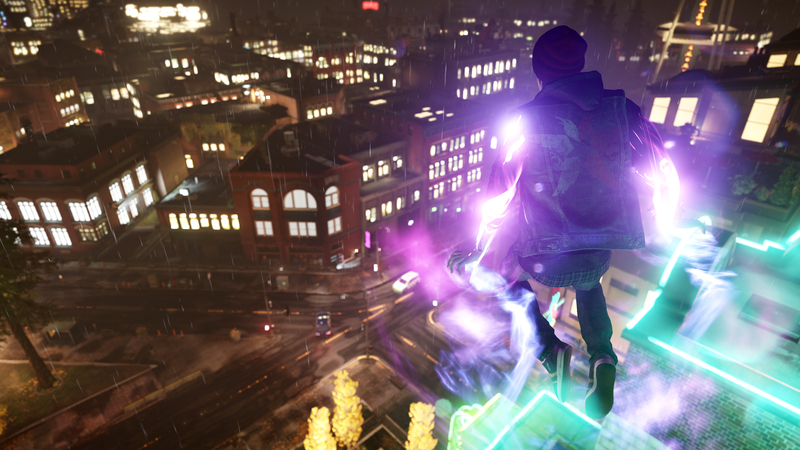 Delsin is a fantastic protagonist - witty, relatable, and performed with surprising believability. In fact, pretty much the entire cast is impeccable in terms of dialogue and performance, featuring a brilliant roster of voice actors and some top notch facial animation. 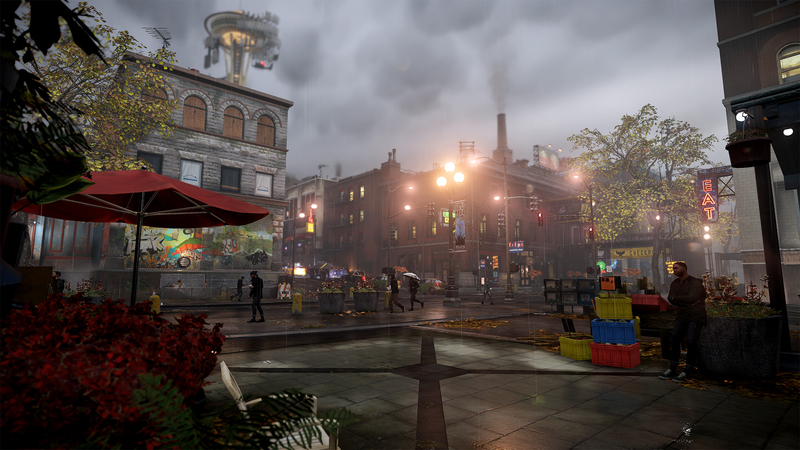 The characterization found here is perhaps the best thing about Second Son, and indeed one would be hard pressed to find much better elsewhere. Standing out from the crowd is the aforementioned Augustine, whose deadpan sarcasm makes her hard to hate until she reveals how utterly despicable she really is. 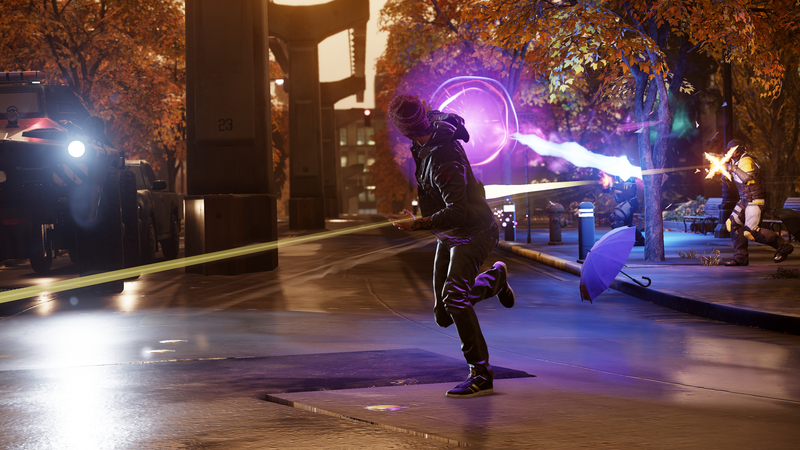 It's rare to see a videogame villain so thoroughly irredeemable, and while her behavior sometimes borders on the needless (she's clearly a member of the Evil n' Lovin' It Club), the thought of making her answer for her crimes will nevertheless become just as crucial a goal for players as it is for Delsin. The expertly structured narrative is an amazing step up for the series, and this runs through to the obligatory "moral choice" elements. 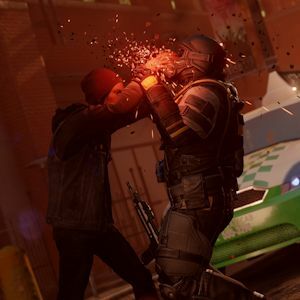 Rather than Cole's embarrassing inner monologues that make him out to be some sort of confused psycho, players get to choose whether they want Delsin to be a selfless redeemer or a corrupting, vengeful hero-gone-wrong. 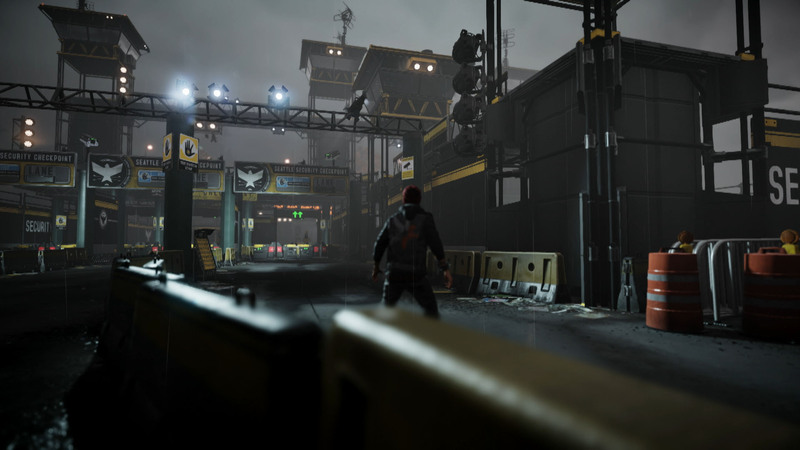 His choices are more natural and understandable than most of the diametrically opposed choices presented in similar games, and the immoral path actually makes some sense, portraying Delsin as a fledgling Magneto, setting himself and fellow conduits apart from a society that hates them. 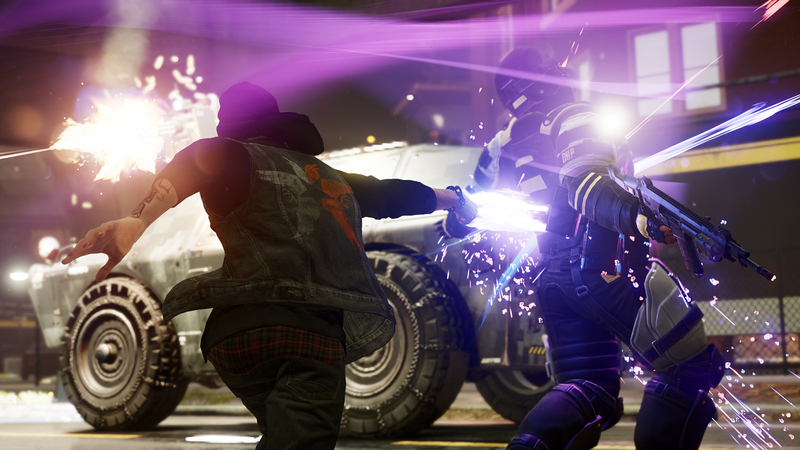 Of course, with Delsin being such an affable guy, it may be hard for players to steer him down a darker path. 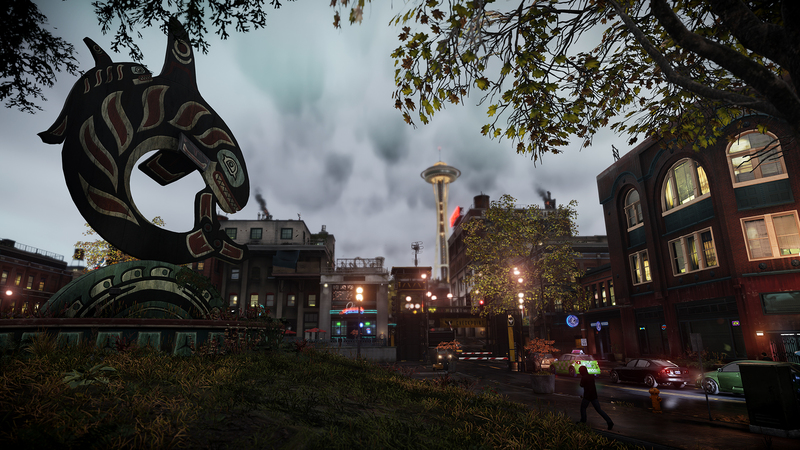 Taking place in a Seattle locked down by the nefarious DUP, Second Son lets players accrue power, perform good or evil deeds, and slowly eradicate government forces from areas of the city. 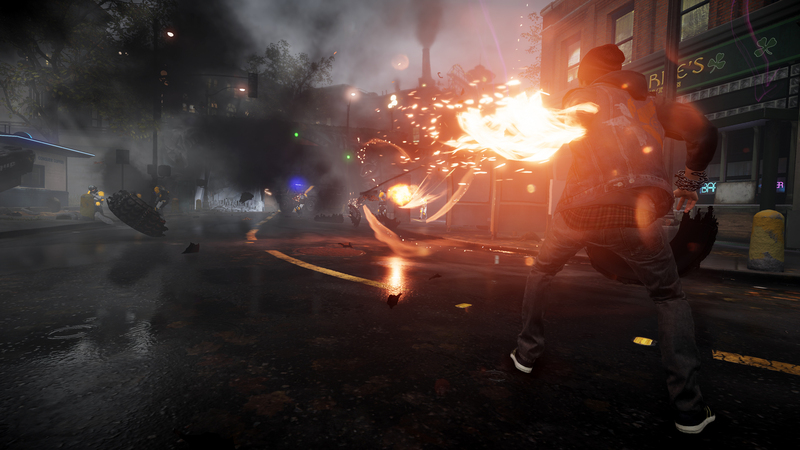 Rather than gaining one elemental power, Delsin acquires three distinct "themes" for his abilities throughout the course of the game - starting with Smoke, and gaining three more unique traits from there. 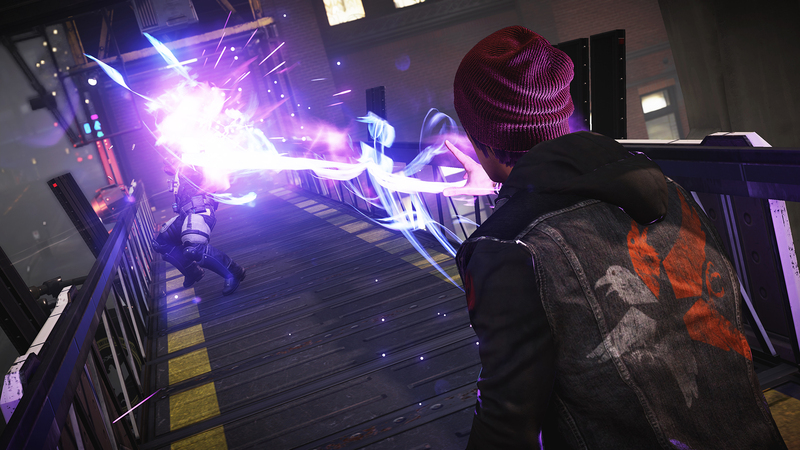 Delsin will swap his powers by draining nearby energy sources - sucking the smoke from a chimney will give him his Smoke powers, but he can swap those out by slurping up a different source of energy elsewhere.